Q. Do men have to worry about bone health, and if so, what are the best exercises to keep my bones strong? A. Most men have the advantage of continuing to produce bone-protecting testosterone throughout life. But the level of the male hormone declines with age and therefore may not be sufficient to keep bones strong as a man hits his later years. Bones maintain their health throughout our lives in a continuous cycle of bone demolition and reconstruction. But as we age, the demolition process outpaces bone building. Eventually, men's bones can become thin, porous, weak, and susceptible to fractures. 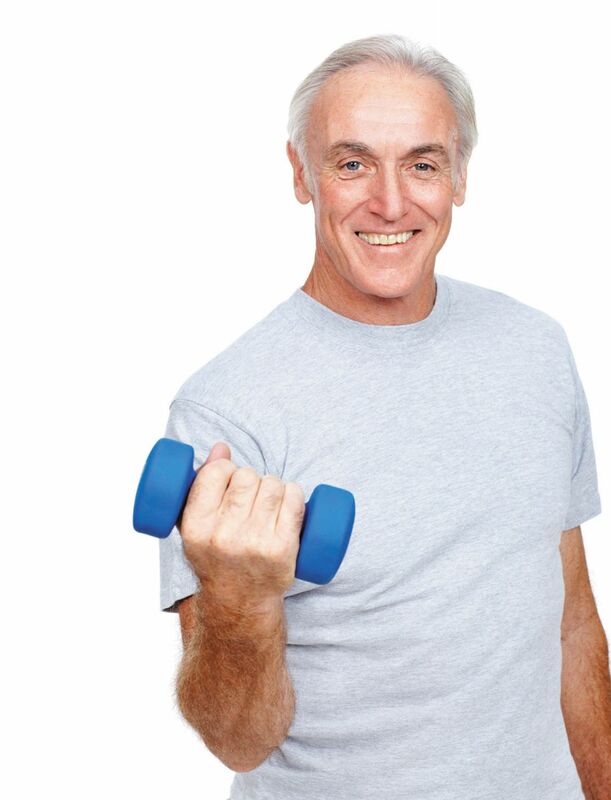 But the good news is that not every older man develops problems with bone health and, importantly, you can slow down the bone-destruction process with exercise. Which type of exercise is best? Experts recommended weight-bearing activities that stimulate bone formation by putting pressure on your bones, especially in your hips and spine, which are common places for fall-related fractures. Examples of good weight-bearing exercises are walking, jogging, stair climbing, hiking, and even dancing. Add in resistance training a few times per week, too, so you're stimulating bones in your wrists, arms, and lower body. Choose what kind of resistance training fits your life — free weights or resistance bands at home, or machines in the gym. Another type of exercise that can build stronger bones is "impact loading," like skipping rope. You could even combine it with your regular workout by jumping rope for a minute or two as part of your warm-up. — by Howard LeWine, M.D.